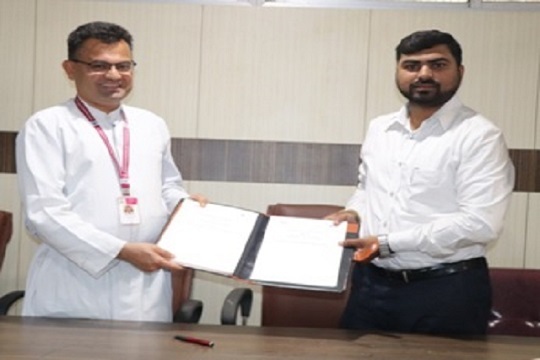 An agreement in the form MoU was signed between The St Joseph’s College (Autonomous) with Association of Chartered Certified Accountants, UK through International Skill Development Corporation Limited (ISDC, UK) on 10th of April 2019 at Staff Seminar Hall. Mr. Lakhan Landae, Regional Manager ISDC, Mr. Rohan Rajvanshi, Business Relationship Manager ISDC, Fr Dr Victor Lobo SJ, Principal SJC and Dr Christo Selvan, Dean of Commerce SJC were the signatories. This MOU outlined the initiative for mutual cooperation between the two parties in the areas of training the faculties to teach and students for ACCA examinations. Among those present was Mr. Charles Ambrose Head of the Department, Fr Joy Rodrigues, Finance office of SJC and staff members of SJC. Dr Christo Selvan welcomed the gathering and said that the establishment of the ACCA program at SJC is a culmination of work done over the last four years. 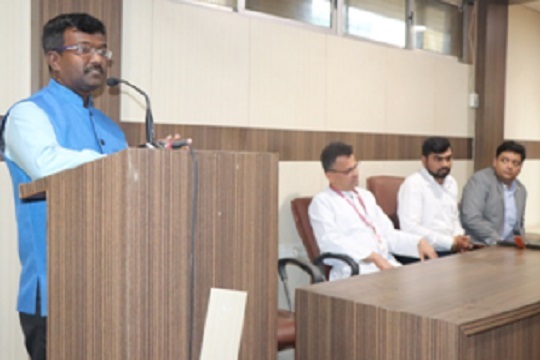 Fr Principal appreciated well and welcomed the efforts of Department of Commerce and also he added that he is expecting more proposals and projects to meet future demands in the market. Mr. Charles Ambrose, Head of the Department gave vote of thanks.